How do you get stakeholders across an iconic organisation on board with a significant rebrand? 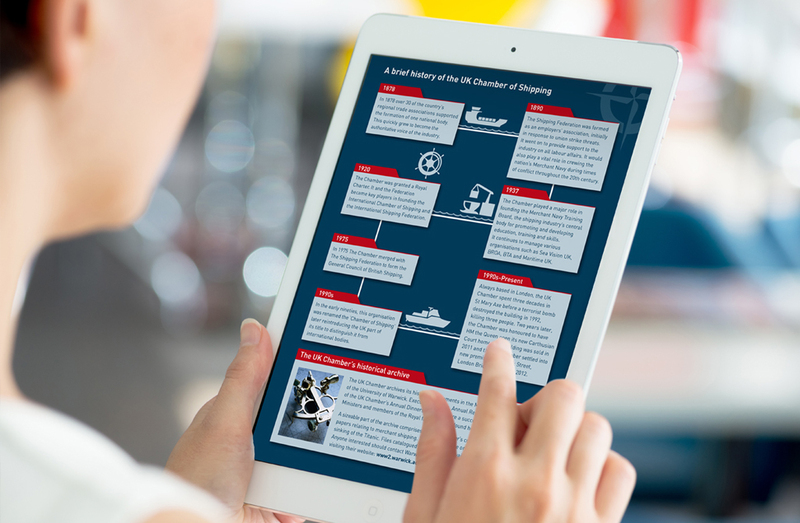 The Brief: As the leading voice of the UK shipping industry, clearly communicating what the organisation stands for is key to the success of the Chamber of Shipping. 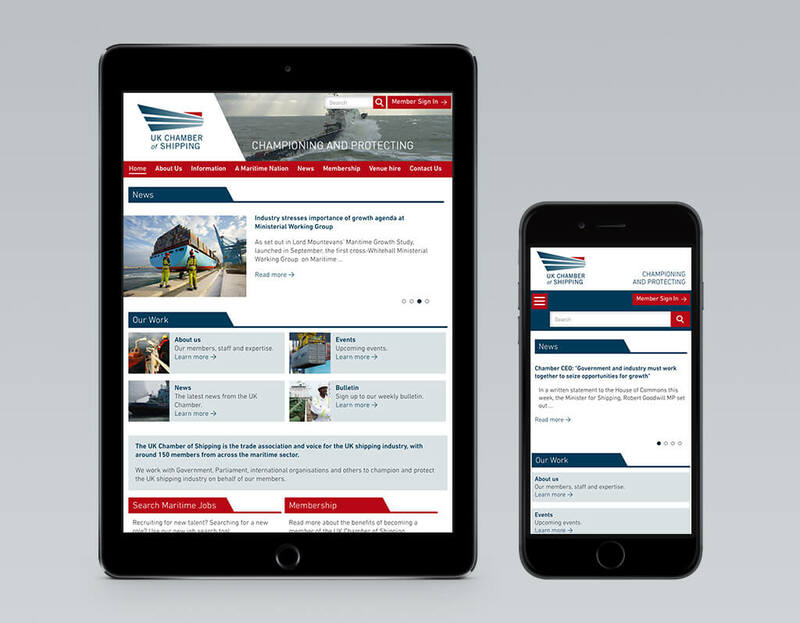 But with a brand identity dating back over 30 years, they needed a more relevant and up to date proposition to match their vision, while retaining the important heritage and qualities associated with the Chamber valued by stakeholders and members alike. The ultimate challenge was to unite the multiple opinions, expectations and ideas of stakeholders and members who weren’t all convinced that the brand needed to modernise. The Solution: We knew that for the new brand identity to succeed, we needed to engage inputs from across the entire organisation, as well as seeking the opinion of key members and senior stakeholders. All were invited to take part in our initial research stage, during which we got under the skin of individual brand and business perceptions, while also unearthing wider thoughts and concerns that could prove a potential barrier to embracing change. This insight meant we could challenge expectations and address concerns head on, by embedding our new brand proposition at the very heart of the organisation and underpinning it with a single minded, uniting purpose. 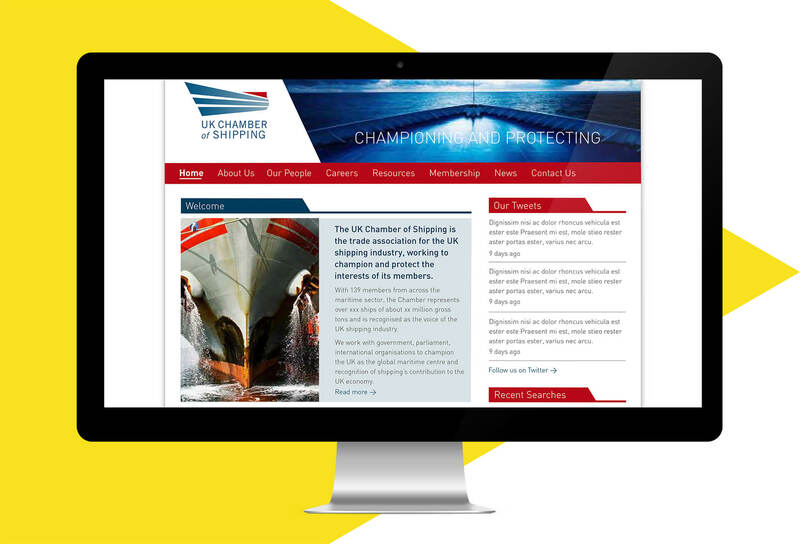 We developed the core message “Championing and Protecting” to reflect both the vision, mission and values of the Chamber of Shipping, and our approach to defining a new identity without compromising the reputation or integrity of the brand. The brand refresh built on their nautical heritage, with a modern twist in the form of an angled, abstract logo that reinforced their progressive, forward-looking, leadership position. The Result: A new proposition and brand identity launched at internal and external events to enormously positive acclaim for an organisation that inherently dislikes change.